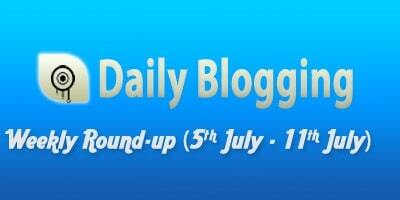 Today I’m coming up with the past week’s round-up. 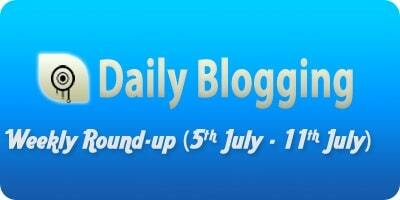 I certainly hope that you have read the previous Weekly Round-up for 27th June – 4th July. This past week I wrote on different topics & concentrated less on my niche topics, Since I don’t want DailyBlogging to be mainly a niche type blog but a source of news my readers would love to read. This week I introduced the Sports & the Technology category & wrote few interesting things on that topic. Hope you enjoyed my posts for the past week, will be writing more & more quality one’s in the upcoming weeks. So do Subscribe to Our Email Updates and keep enjoying the posts we offer. Have a nice week ahead!